Berkshire Hathaway has nearly $100 billion on its balance sheet. The conglomerate's dozens of subsidiaries and stock holdings throw off plenty of cash every month - after all, cash-generating businesses are what Buffett looks for when he is going shopping. It's great that Berkshire Hathaway's subsidiaries and stock holdings throw off so much cash every month, though it becomes a bit of a problem if the markets are richly valued. Buffett, who loves a good deal, is finding it harder and harder to put Berkshire Hathaway's cash to work as the markets rise. In normal circumstances, there would be an easy solution in the form of a dividend or share buyback. Buffett, however, doesn't really believe in paying dividends, as he believes that he is better at investing your money than you are (he's right). Share buybacks are always a possibility, but only at the right price. This leaves Berkshire Hathaway with a growing cash pile. As of right now, that number totals roughly $100 billion. Buffett thought that he was going to be able to deploy some cash when he bid $9 billion for Texas-based power transmission company Oncor. It was a nice, clean bid, and the deal had some significant support. With the assumption of debt, the deal would have been valued at $18.1 billion. There was one condition, however - Buffett wasn't going to raise his bid. $9 billion was his price and he wasn't going to pay one penny more. In the end, Sempra Energy bid $9.45 billion for the company. The deal between Oncor and Berkshire Hathaway was called off, and Berkshire Hathaway formally pulled their deal. Even when Buffett loses he wins, however, as Berkshire Hathaway will receive a $270 million deal termination fee. Even with the deal termination fee, Buffett is not likely to be a happy camper, as he wasn't able to deploy any cash. 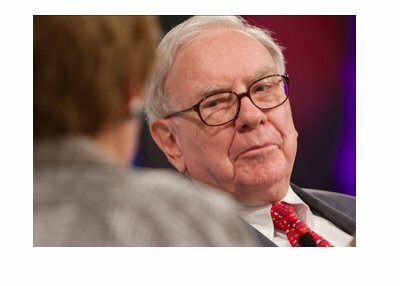 This leaves the market to speculate as to what Buffett's next target could be. There aren't many companies that fit his investment criteria - could he make a play at a company like Blackrock or Nike? It will be interesting to see what Buffett does now, as he doesn't want to have to go in front of his shareholders next year and talk about how the company has well over $100 billion in cash sitting on its books.